Join for free What is NETELLER? Copyright © 2019 Paysafe Holdings UK Limited. All rights reserved. Paysafe Financial Services Limited (FRN: 900015) is authorised by the Financial Conduct Authority under the Electronic Money Regulations 2011 for the issuing of electronic money and payment instruments. Paysafe Merchant Services Limited is licensed by the Financial Services Authority of the Isle of Man (Ref. 1357) to carry out money transmission services. 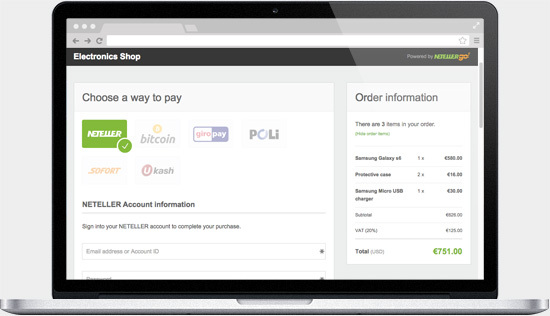 NETELLER is a registered trademarks of Paysafe Holdings UK Limited.